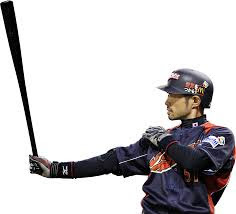 One of the greatest athletes I've ever had the privilege to watch exercising his art is a Japanese baseball player who has achieved the pantheon of simply being known by one name, Ichiro. Fluidly walking on the pitch (park, field? never sure with baseball) even the opposing fans were up on their feet cheering him. Never the home run king, simply one of the best players of all time, he went on to take the American leagues by storm for more than a decade. But others had walked the path of greatness before. 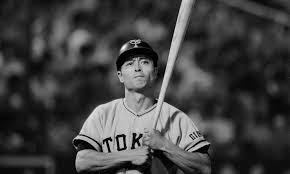 Oh-san set the single season home run record in 1964, a record he held for over four decades; not bad in Japan for a guy with Chinese citizenship. But it was a contemporary of his who held the game's fans in palm of his hand for over two decades; a man not renown for his outstanding memory, forgetting to finish a home run once, leaving his son at a game and having to call his wife to explain to his taxi driver where he lived on various occasions. But boy could he bat. Like the greats he was also known by a single name, Nagashima. A coach when I first arrived in Japan having retired from the pitch more than a decade earlier, he still held legendary status and people would whisper rather than state his name. And at the peak of his powers he was so feared in the field he would be walked rather than being given the opportunity to play out of the park. 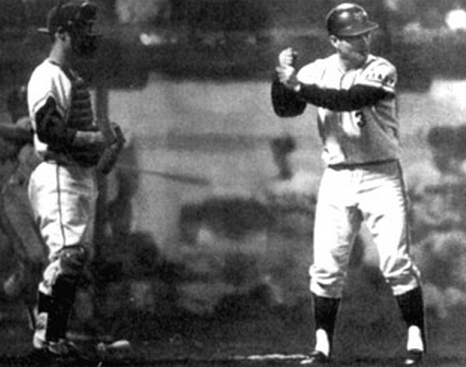 And that happened so often he once walked to the plate, took the stance and waited for the ball. But this time, he'd deliberately forgotten the bat.